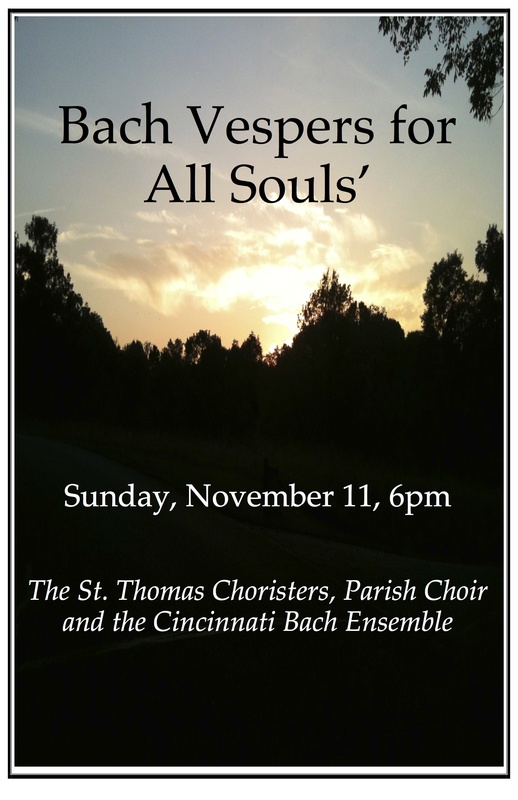 On Sunday, November 11, St. Thomas will offer a special Bach Vespers for All Souls with the Parish Choir, Choristers, Cincinnati Bach Ensemble and soloists Kate Tombaugh and Grant Knox. The service will feature J. S. Bach’s Cantata 161, Komm der Susses Todesstunde and a Magnificat and Nunc Dimittis by Ralph Vaughan Williams (“The Village Service”). As a prelude the Ensemble will present Vivaldi’s Concerto for Flute and Bassoon, with Cincinnati Symphony members Randy Bowman and Jennifer Monroe as soloists. The Bach Vespers has established itself as one of the unique musical and spiritual experiences in Cincinnati. The service combines that ancient tradition of evening worship with the sacred cantatas of J. S. Bach, along with other beautiful instrumental and organ works, creating a beautiful and mystical experience. The musicians of the Cincinnati Bach Ensemble under the direction of Dr. Carlton Monroe, present the cantatas in the context of worship, the setting for which they were written. The Bach Vespers is free and open for anyone to attend. There is a free-will offering taken during the service. We appreciate and depend on the generosity of our guests and patrons to sustain this program. 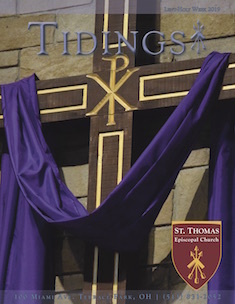 For more information, visit the Bach Vespers website or go to the St. Thomas website. St. Thomas is a member of the Episcopal Music Trail. For more information, visit episcopalmusictrail.wordpress.com.